WHY GO: Of the 2,700 commercial whaling ships that plied the world’s seas in the 19th and early 20th centuries, only one remains: the Charles W. Morgan, and it happens to reside at Mystic Seaport in Mystic CT. After being restored to sea-worthiness, the historic ship returned to the water in July, 2014 and after making its way around New England on its 38th voyage, is back to where she belongs. 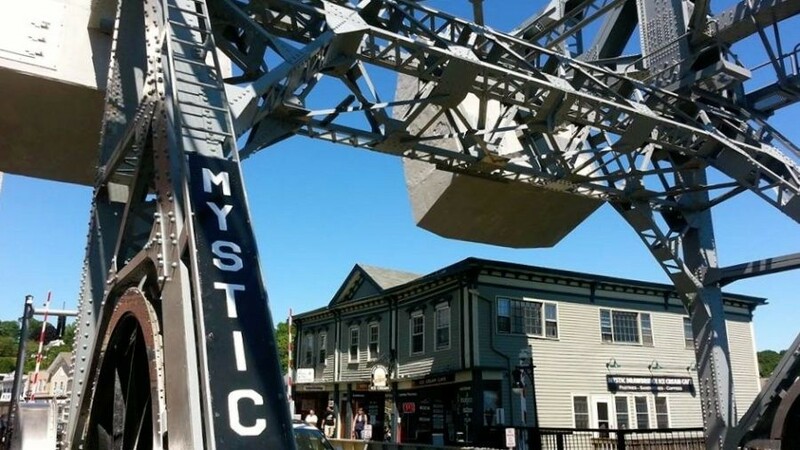 But seeing the Morgan, and now the Mayflower II, now undergoing restoration at Mystic Seaport through mid-2019, is not the only reason to visit Connecticut’s most popular tourist town. You’ll find great dining, a hot new bar/restaurant, beluga whales, historic bridges and quaint inns in this Maven Favorite. VISIT: Mystic Seaport, Mystic CT. This is probably the most touristy attraction to ever grace the Getaway Mavens website, which is supposed to offer ideas about how to AVOID crowds. But in this case, why beat a dead horse? Or, how can you beat a dead horse? Or, what exactly IS a Dead Horse in the Seaport’s Dead Horse Ceremony? No, we’re not telling you here, but it is festive and fun and involves hoisting a canvas replica of a horse overboard to celebrate….something. Stroll the 17 acres of Mystic Seaport, founded in 1929 – arguably the best-known attraction in Connecticut – and you might come across the engaging “Demonstration Squad” and Shanty singers who will do their best to drag you into their shticks. 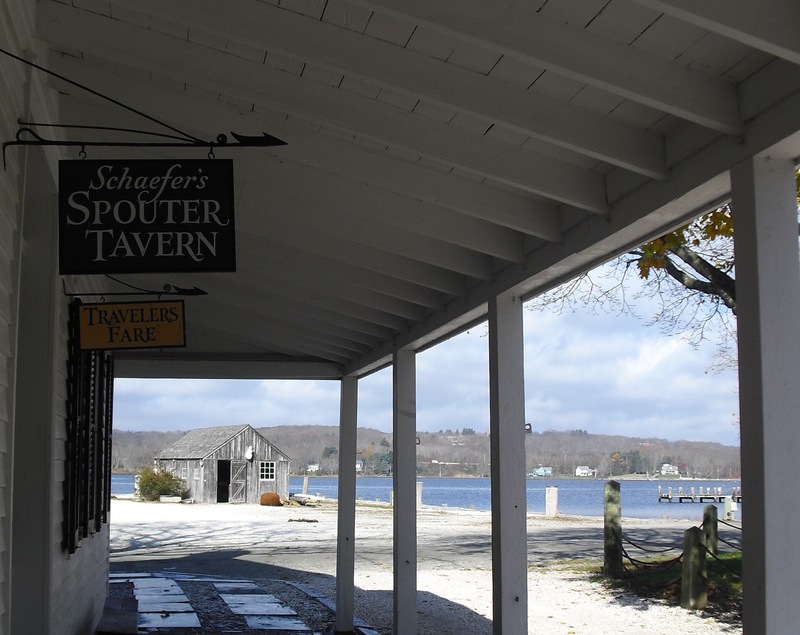 Take a horse and carriage ride, amble around the boardwalks, bricks, cobblestones, and unpaved paths of Mystic CT, enjoy a beer at Spouter Tavern while listening to live jazz, or just watch costumed interpreters at work. As for restoration of the Charles W Morgan, 250 tons of government-protected Live Oak salvaged from the destruction of Hurricane Katrina in Louisiana, along with White Oak and Yellow Pine were used to repair parts of the 113 ft. 165 year old whaling ship. It returned to the water with great fanfare in 2014. The Mayflower II, normally in its home port of Plymouth MA, arrived at Mystic Seaport in November 2016 and will leave mid-2019 nearly rebuilt. See photos and a writeup of the ship mid-restoration here. The Thompson Exhibition Building, a huge futuristic boathouse-meets-space-shuttle-hangar, opened in 2015 at the North Entrance and hosts rotating exhibits in its soaring halls. The standout contemporary architecture is reason enough to stop inside, though you can purchase Seaport tickets here as well. $28.05 adult, $18.95 child, or $95 for family membership. Open daily March 23-Oct. 27 9am-5pm. Check website for other times of year. VISIT: Mystic Aquarium, Mystic CT. 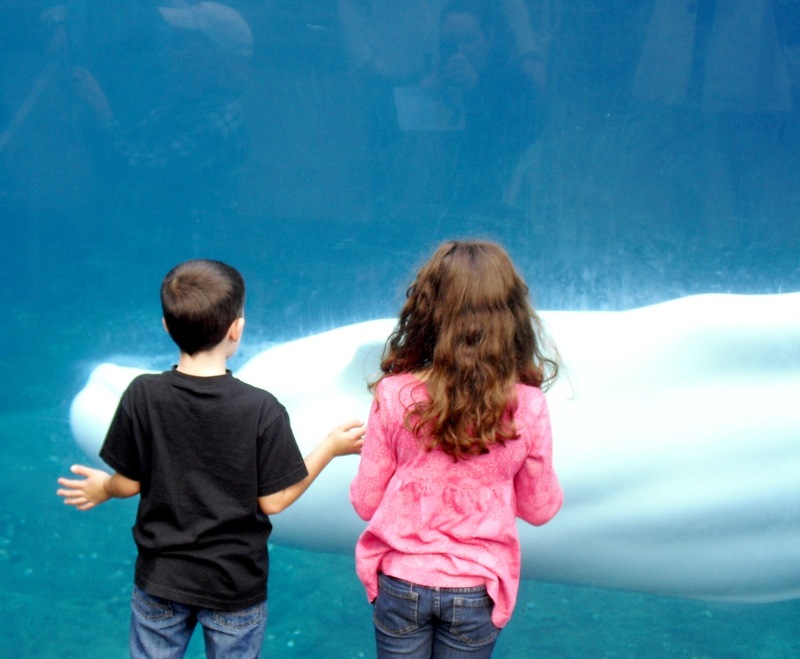 If you can’t resist the ghostly grace of rescued beluga whales, or the antics of African Penguins, stop in at the Mystic Aquarium, which also houses the interactive, multi-media Titanic Exhibit. Why a Titanic Exhibit in an aquarium, you might ask? Because National Geographic Explorer Dr. Robert Ballard, the guy whose team actually discovered the Titanic in its watery grave, is founder and president of the Ocean Exploration Center at Mystic Aquarium which specializes in deep-sea archaeology. Spend a day communing with seals, penguins, jellyfish and other sea creatures in this beautifully well-rounded attraction that is so much more than an “aquarium.” $29.95 adults, $21.95 kids, open April – November 9am-5pm. Check website for other times of year. DO: Rent a Kayak at Riverdog Kayak. There’s nothing more serene than paddling up the Mystic – past the Seaport and into a salt-marsh rimmed basin. It’s about a 6 mile round trip excursion. $20 per hour. 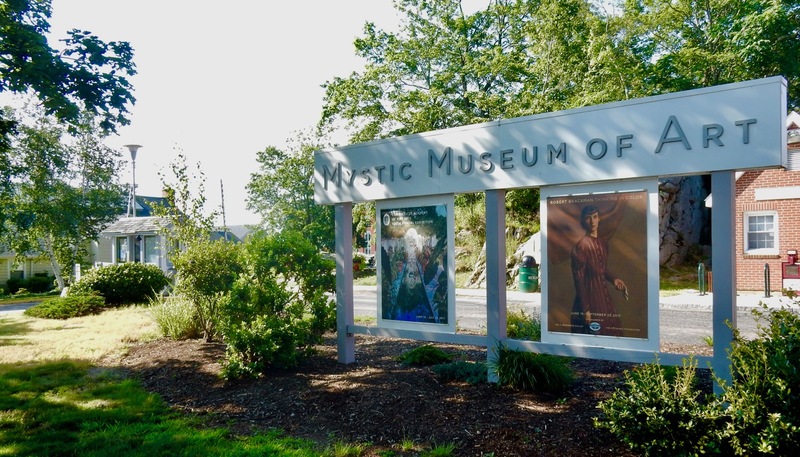 VISIT: Mystic Museum of Art. Small, but packs a punch. See permanent and temporary exhibits in 4 galleries. Open Daily, May-Dec. 11-5. See website for other times of year. Sage – for great, reasonably priced fashion jewelry and great gifts. A few people mentioned that Sage reminds them of the beloved Whyevernot, which closed in 2013 after 31 years. Douglas Paquette Company Store. You’ll get the best deals on their famous dog collars, leashes, scarves, fashion jewelry, semi-precious stone beaded bracelets ($39.99), and funky decorative door pulls – as well as other giftware, at this wonderful independently owned shop. 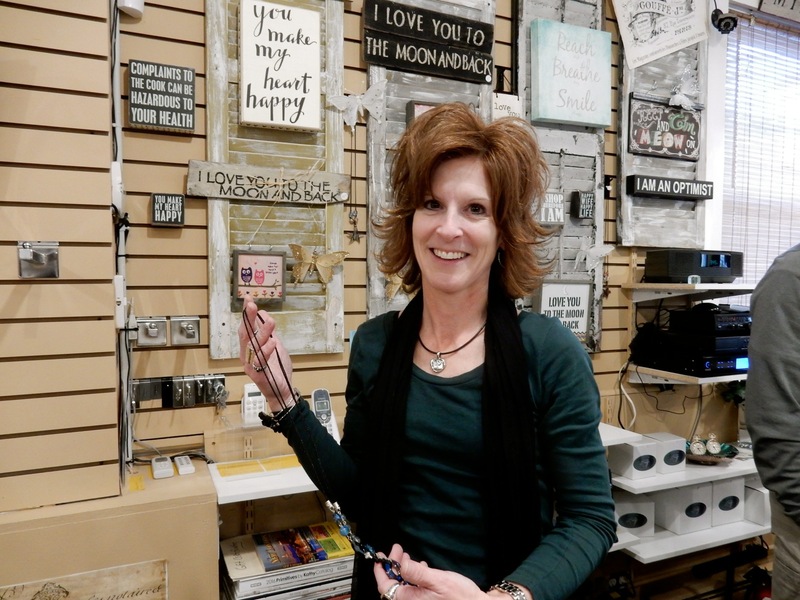 The kind and welcoming owner, Allyson Paquette, often greets customers herself. Curated: Fine Art and Luxury Goods. 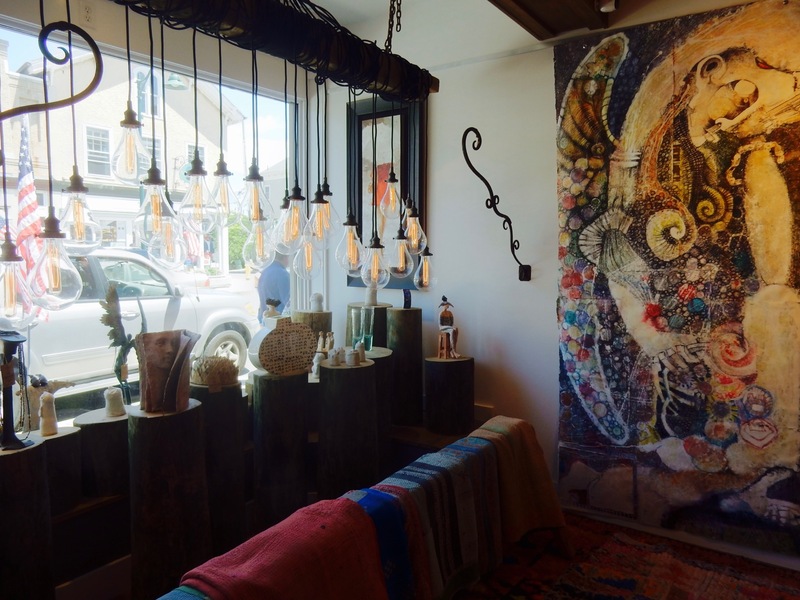 You’ll find beguiling works of wearable and usable contemporary art in every medium at this brand new main street shop. A personal favorite. 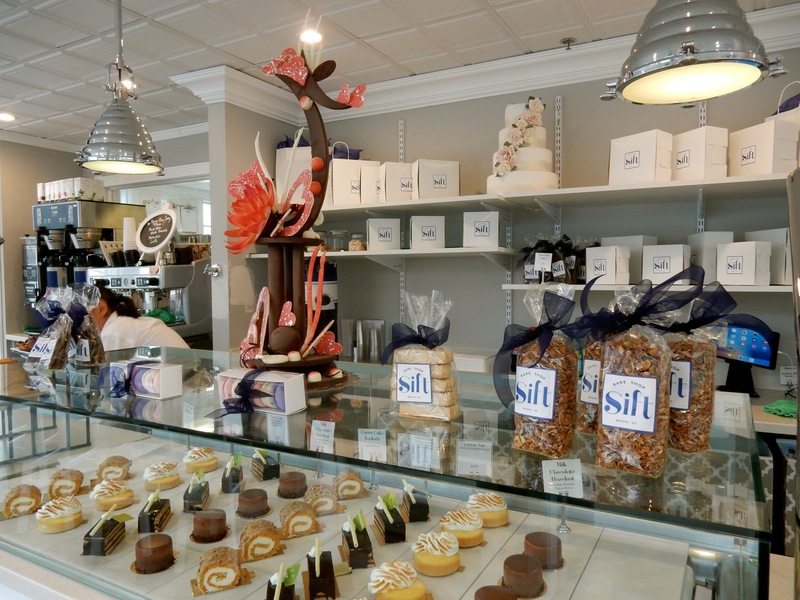 SHOP/BITE: Sift Bake Shop. 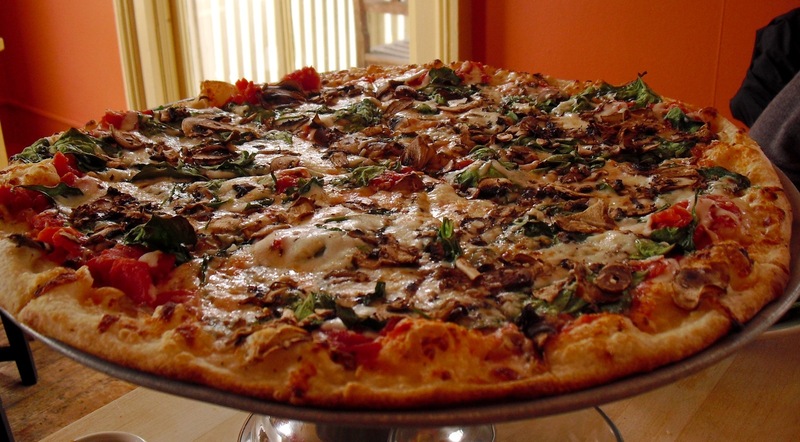 Forget Mystic Pizza, all visitors to this tourist town should head to the Mystic bakery, Sift. All I can say is Wow! You’ll hardly find another baked goods shop of this caliber outside of Paris. Owner/pastry chef par excellence, Adam Young, perfected the craft during his multi-year stint at the venerable revamped Ocean House Hotel in Watch Hill RI, and it is very apparent. Wow and wow again. EAT: Red 36. 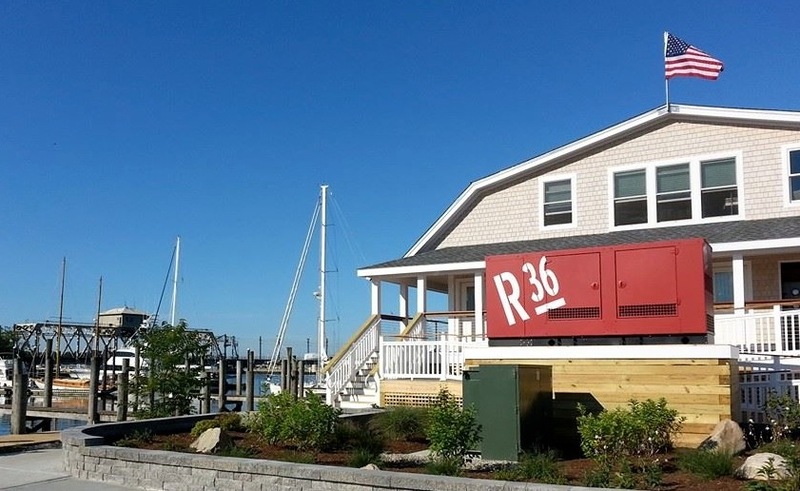 The hottest thing to hit Mystic CT, R-36 (owned by the Bravo-Bravo group and named for the red channel buoy), is sensationally set right on the Mystic river in the shadow of the rotating railroad bridge. A slew of bartenders hop to it both inside and out on the deck overlooking river action. Waitstaff make sure they get things right and are eager to please, but not over-ingratiating. Singular location and great service are but two aspects of a successful restaurant: The food has to be good as well. And Red 36 delivers. From 5-Spice Ahi Tuna Burger ($16) with wasabi cole slaw – the perfect combo of seared fish and spicy crunch, to Boneless Beef Short Ribs ($33), chefs know how to get the best of contemporary cuisine out to tables in a very timely manner. Located in the Seaport Marine, R36 is within a few steps of visiting and seasonal boaters and just a few blocks from the center of town. 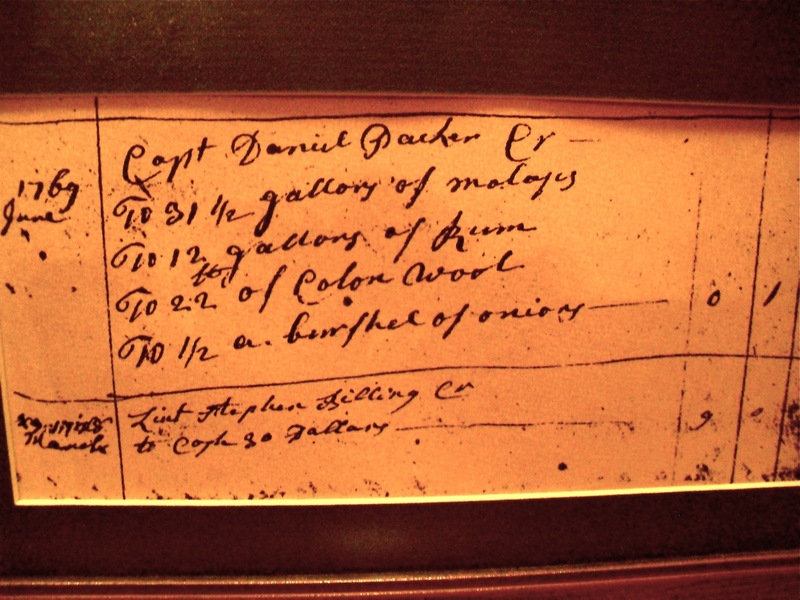 DRINK/EAT: Captain Daniel Packer Inn. Purportedly haunted restaurant and cellar tavern within a restored 1756 Sea Captain’s home, the Captain Daniel has been packing in old salts since 1983. If you’re looking for low-lit Colonial atmosphere and good food, this is your place. Ask to see a supply ledger dated June 1769 – the place seems to have been run on rum. And onions. EAT: drwb@24 Eatery. Health nuts, vegans, and yes, even regular people will love this counter service salad, sandwich, and smoothie spot – right next to Drawbridge Ice Cream. EAT: Oyster Club. Mystic’s “Sea and Farm to Table” adds to the non-franchise, foodie bent of Connecticut’s most touristy town. Oysters come from beds a few miles offshore, and foliage that ends up on your plate is foraged nearby. So far, reviews skew very positive, including mine. Though the menu changes daily (as befits a farm-to-table restaurant), you’ll find dishes like “Baked CT river shad with a rich potato puree, rhubarb- brown butter and wilted spinach” $28. EAT: Pizzetta. Yes, there’s plenty of pizza in Mystic, and if you want a plain pie on the go, Mystic Pizza (which is not actually where Julia Robert’s first big movie was filmed. That was done in nearby Stonington, CT) is decent. But if you’re looking for a sit-down brick oven gourmet pie , book a table at Pizzetta. The whole place is fun and colorful, and perfect when you just can’t stomach another fish dish. EAT: Pita Spot. 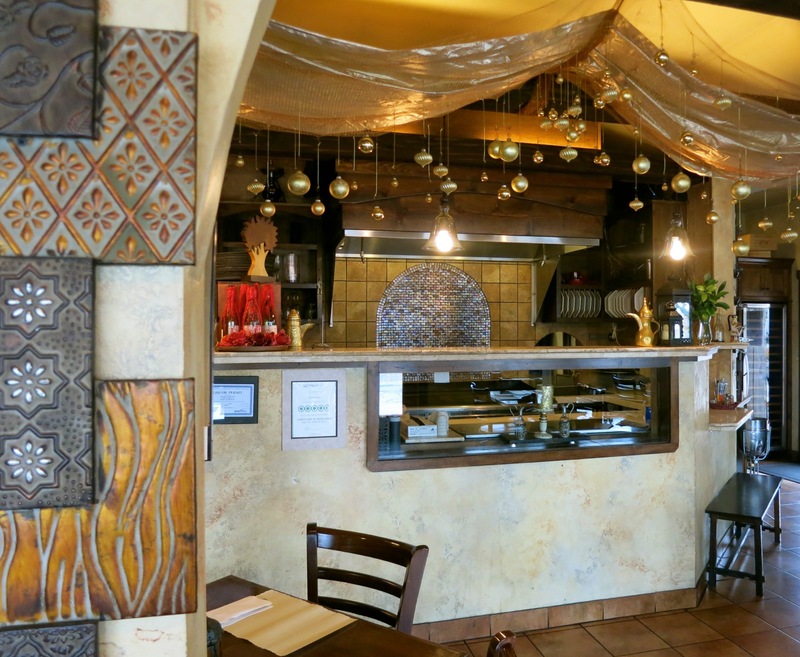 Locals love this Lebanese food place in a nondescript strip mall on Route 1 (within view of Inn at Mystic). Everything here is excellent and made from scratch, including the humus, which begins as dried garbanzo beans and ends up on most sampler plates. EAT: Bravo Bravo brought cosmopolitan flare to this seaside tourist town. Streamlined décor and excellent straightforward dishes draw big summertime crowds. A go-to staple for locals. ICE CREAM: Mystic Drawbridge Ice Cream cap off dinner with a perfectly cold and creamy home-churned scoop at Mystic Drawbridge Ice Cream. It’s the most delicious way to end the day, and the location at the groaning edge of the drawbridge can’t be beat. 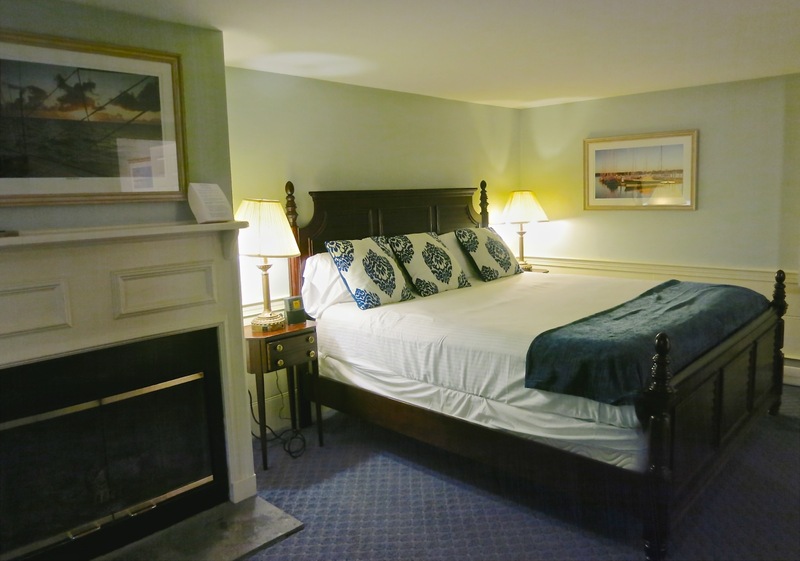 STAY: Inn at Mystic, Mystic CT. The Inn at Mystic has never been grand or stately, but for years, this sprawling motel-like series of guestrooms was THE place to stay in Mystic. But by the 1990’s it fell out of fashion, out of favor, with atmosphere that had seen better days. 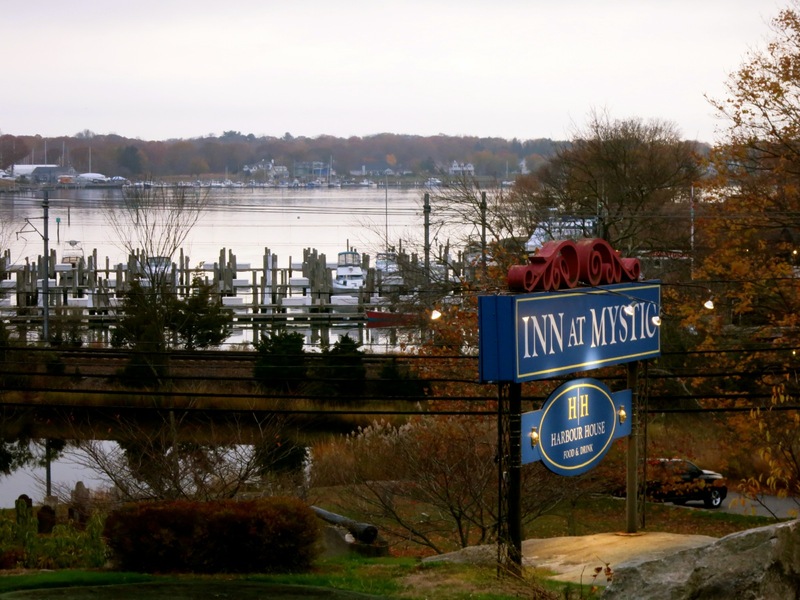 Now, with a new owner, the Inn At Mystic is in comeback mode. Emerging from a room by room renovation, this iconic property atop a hill overlooking the water is attracting attention once again. You’ll find new crisp bedding, Robins Egg blue walls with elegant wainscoting, eye-catching local nautical photos, large flat-screen TV’s, bedside lamps complete with electrical outlets (a great improvement over behind the heavy bed or absent versions), new carpeting, and wood-burning fireplaces in select “all-amenity” rooms. Walk in on a cool autumn night, and you can smell the lingering odor of a just-burned fire. Rooms from $85-$295 include Continental Breakfast. 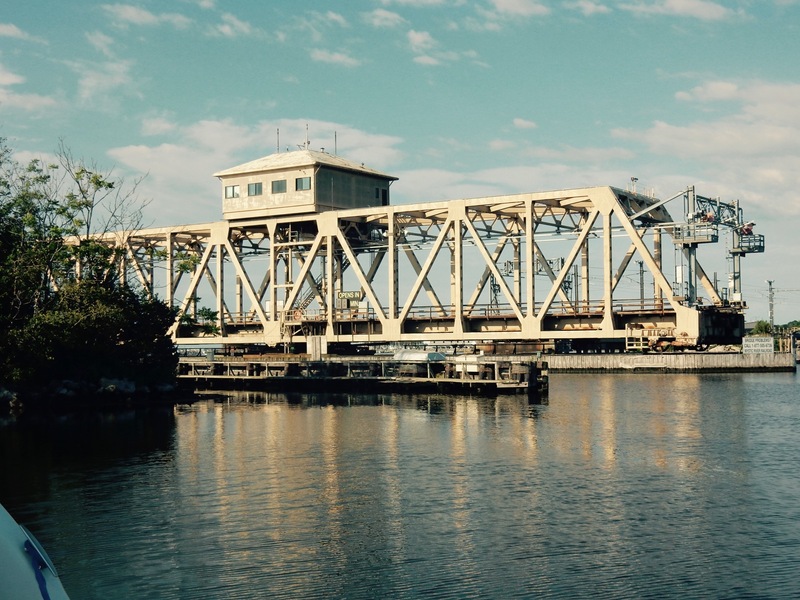 STAY: Steamboat Inn, Mystic CT. Stay in the shadow of the mechanical wheels and huge cement counterbalance weights of the fascinating Route 1 bascule bridge – book one of eleven upscale rooms at the spectacularly located Steamboat Inn, perched on the most exciting and constricted section of the Mystic River. (In 2011, Kim Kardashian stayed at The Whaler’s Inn – Steamboat’s sister property across the bridge-which was consequently completely booked for months). $160-$325 varies by season. 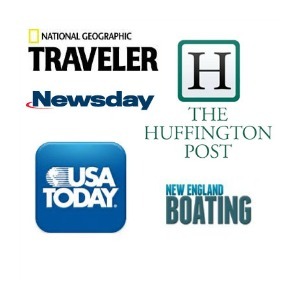 Thank you so much for mentioning us in your article! It was such a pleasure to meet you! I hope you enjoyed your time in Mystic! It is such a great town! Thanks for visiting my home town! 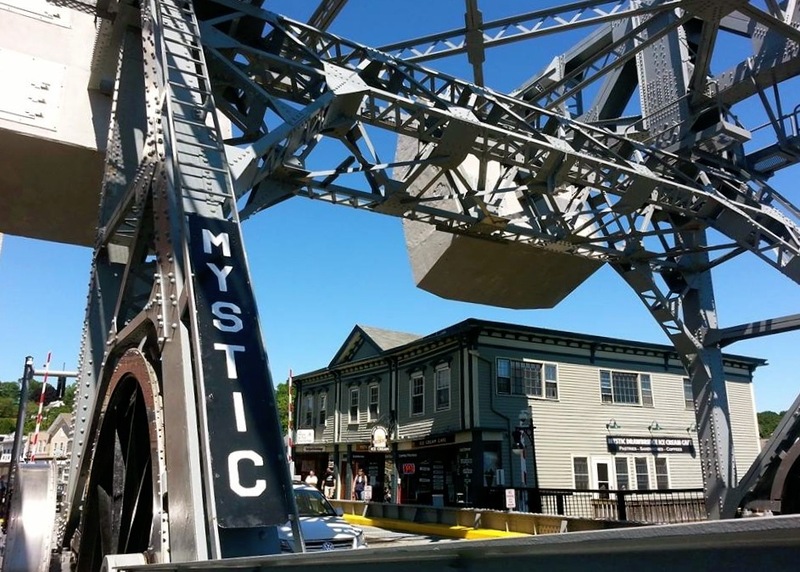 Downtown and the rest of Mystic has so many new things to explore. I see you met Adam over at Sift, his bakery can’t be beat. Oyster Club was ranked in the top 80 restaurants in the COUNTRY and it’s sister restaurant The Engine Room was named Yankee Magazine’s best bar bites for 2015. S&P Oyster Company has an amazing array of our locally harvested scallops, the Daniel Packer Inn has a history that predates the USA! I am so proud of our town, and I hope your write up invites more people to join us. My little shop is Mallory’s old sail and rigging repair shop, just around the corner from the drawbridge. The building was first rented in 1832, and there are so many stories in our building. The whole town drips in history and memories from decades past as well as the centuries of historical context our town provides. Have your readers contact me for availability info at RobertHannon62@gmail.com. My husband and I visited Mystic last summer. Probably the most perfect seaport town we have visited. Beautiful views, clean, wide sidewalks, lots to do. It is also not far from the Foxwoods Resort. We aren’t casino goers, instead we enjoyed the National Indian Museum. It is ultra modern with great views of the reservation.